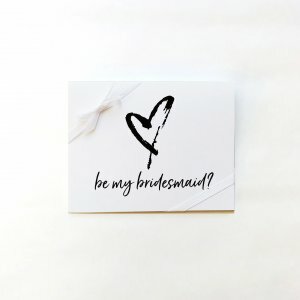 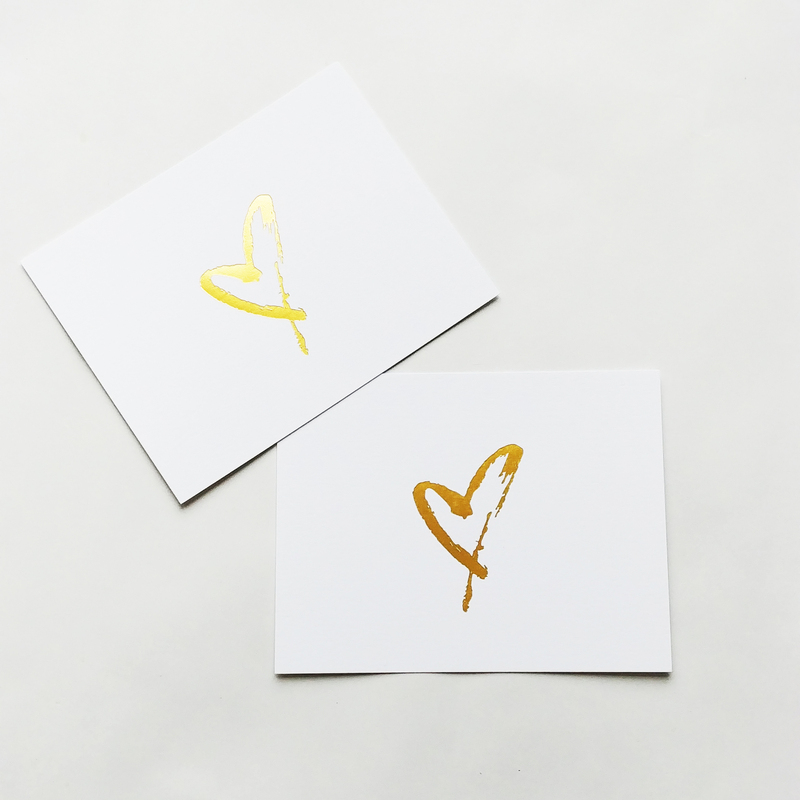 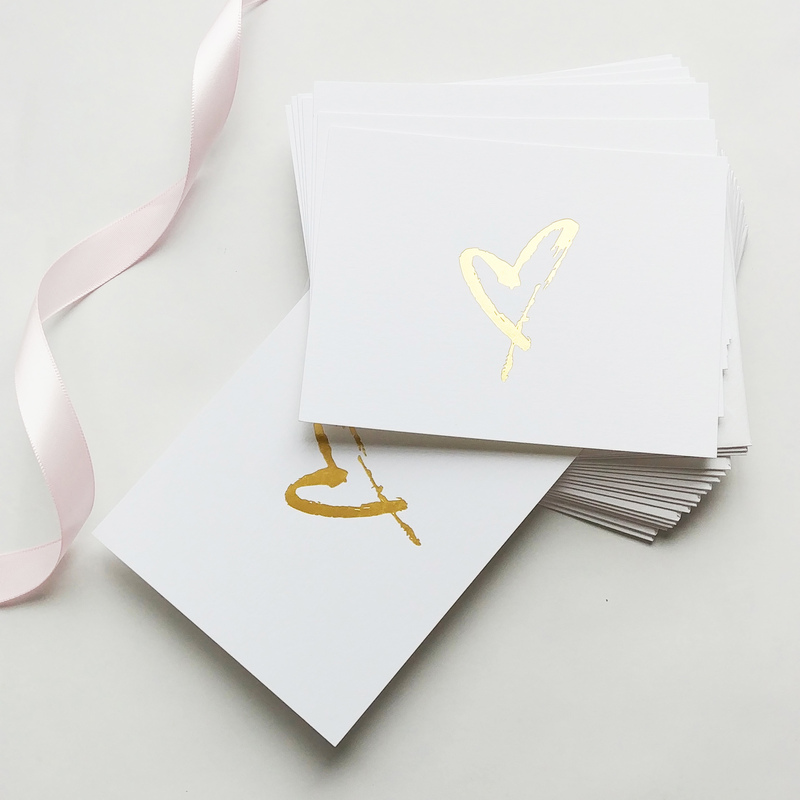 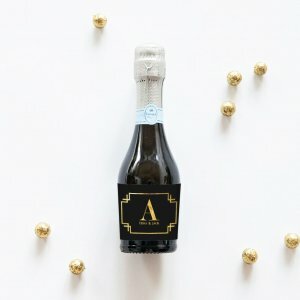 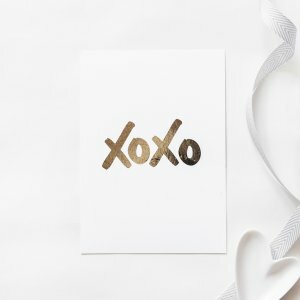 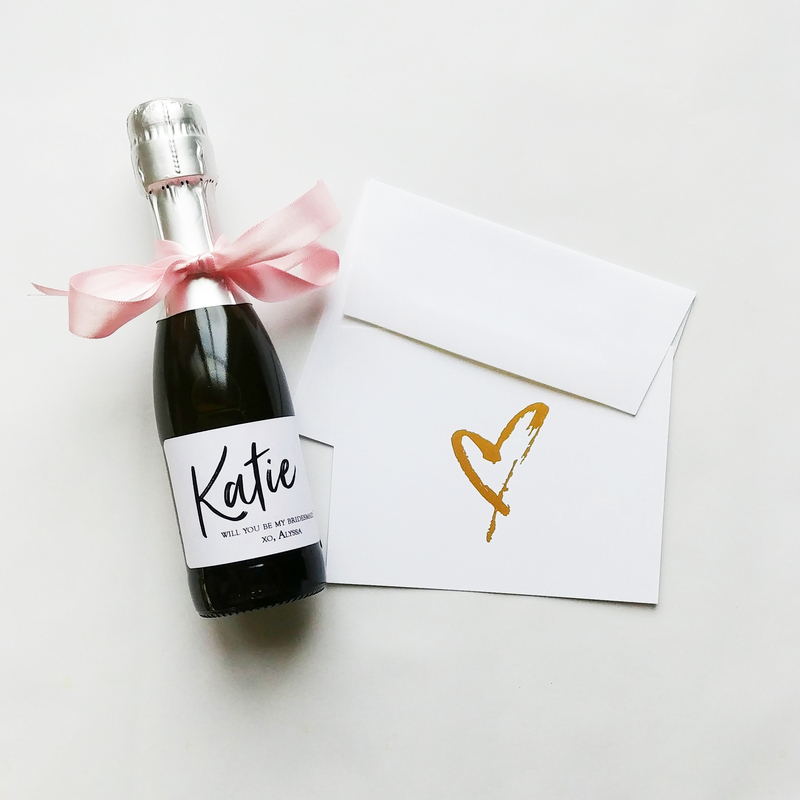 A lovely thick flat card designed with real gold foil imprinted with a heart – perfect for jotting a note to a bridesmaid or friend. 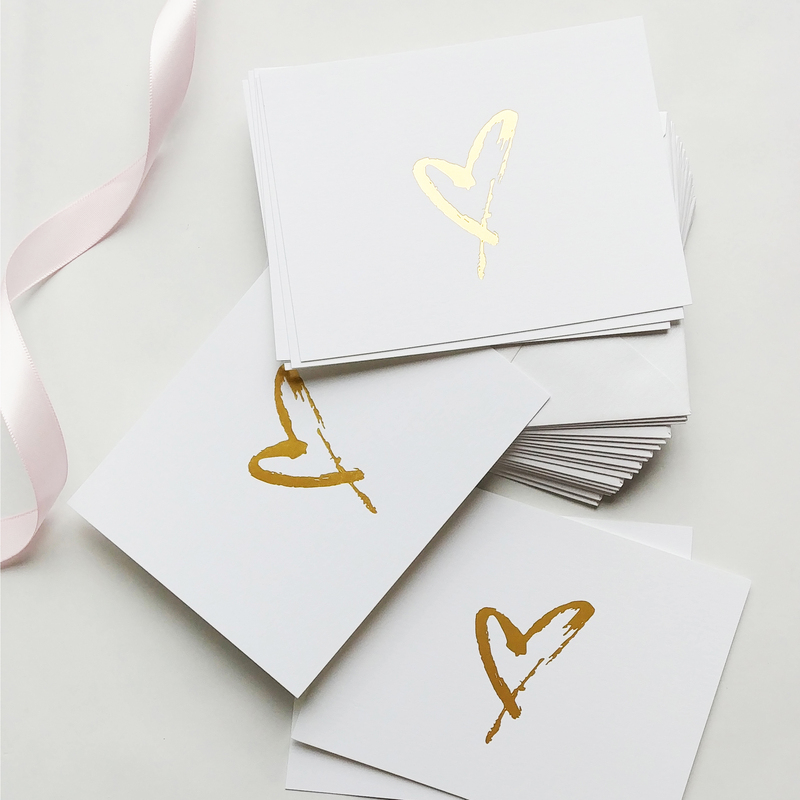 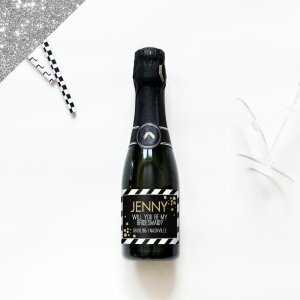 After reading your note on the back, makes a cute keepsake on their desk or dresser to remind them of your love and friendship. 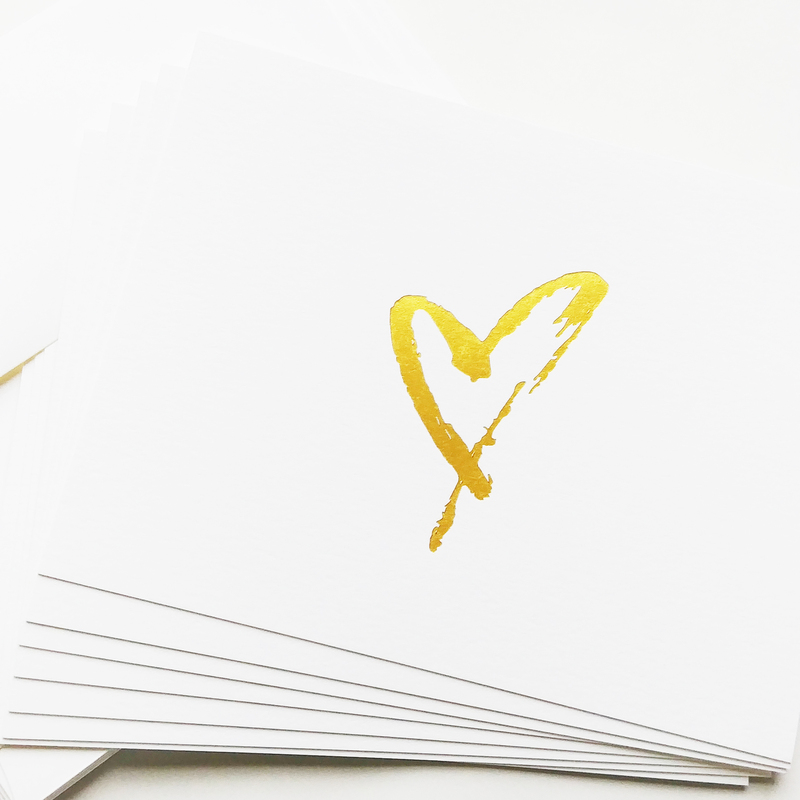 Size: (A2) 4 1/4″ x 5 1/2″, on 120lb high quality paper.